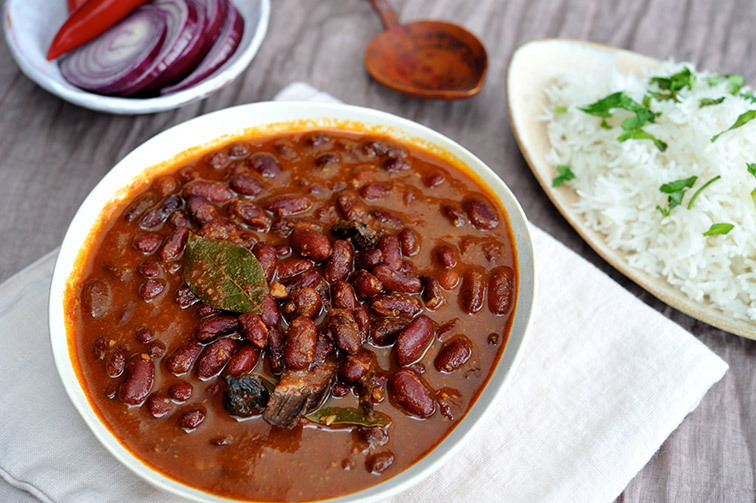 A nutritious kidney bean dish that can be enjoyed as the perfect winter comfort food. 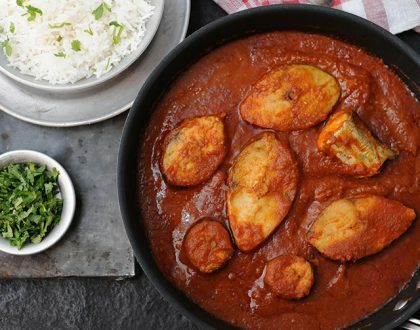 The beans hold their shape & texture well and lend a nutty flavour to the curry which compliments the flavors of the spices very well. 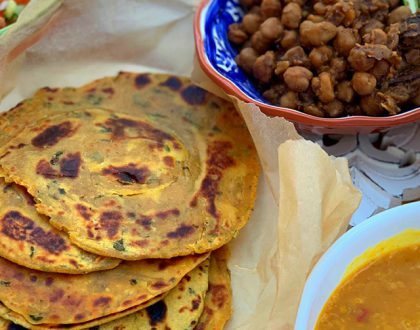 Health Hack: Red kidney beans are a great source of protein, especially for vegetarians and vegans. They have a good profile of minerals and electrolytes and also help maintain healthy gut environment by providing necessary fibre. 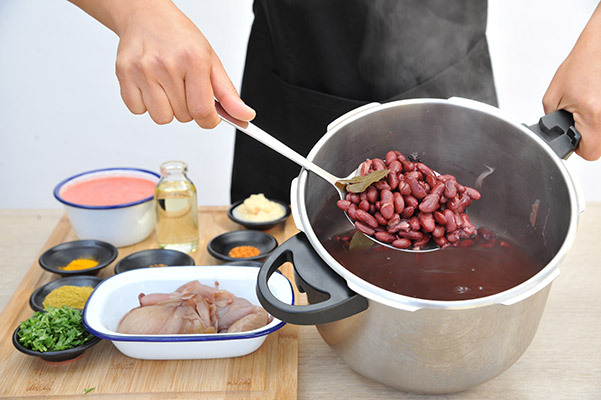 Pressure cook red kidney beans with 1.5 litres of water, whole spices (bay leaves, black cardamoms, cloves, cinnamon), whole onions and salt until the beans are soft and fully cooked. Remove the boiled onions and set aside. Heat oil in a wide bottom pan. Add onions and brown over moderate heat. Add ginger-garlic paste and continue to sauté till the onions turn golden. 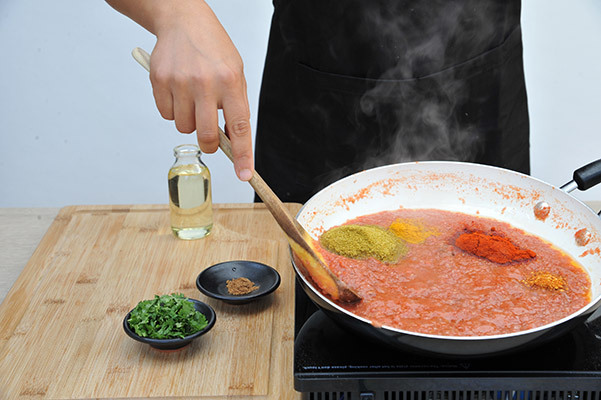 Add tomato puree, salt and mix well. Continue to cook on medium heat for a few minutes. 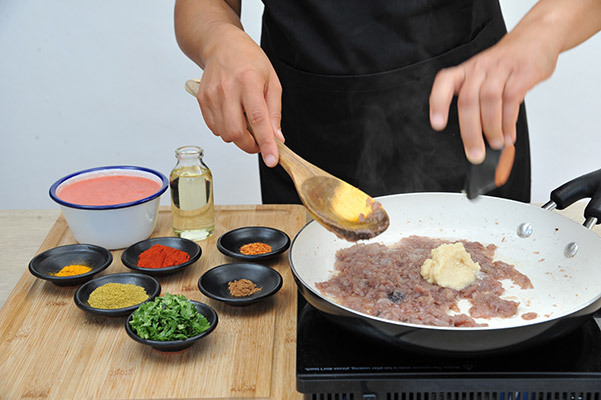 Add coriander powder, cumin powder, red chilli powder, turmeric powder, kashmiri chilli powder and cook until oil separates from the masala. Add red kidney beans along with all the liquid and stir well. Adjust salt and add garam masala powder. 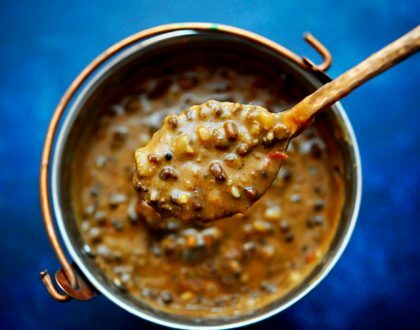 Lower the heat and simmer for about 15-20 minutes. 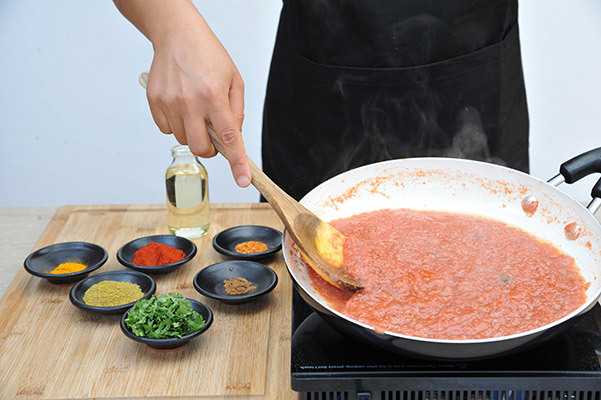 Garnish with fresh coriander and serve hot with steamed rice. 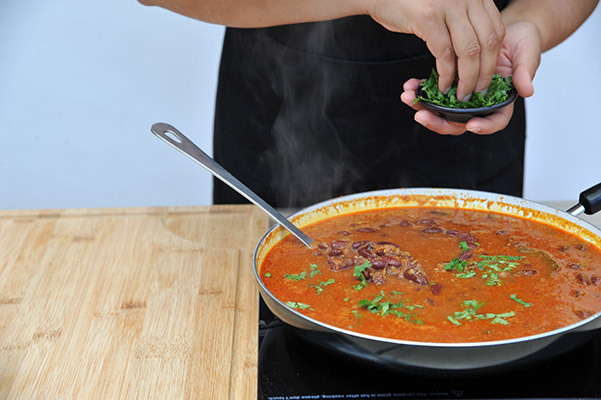 Soaking Rajma overnight in fresh water helps soften them and reduces their cooking time. Make sure to drain the water and cook using fresh water. 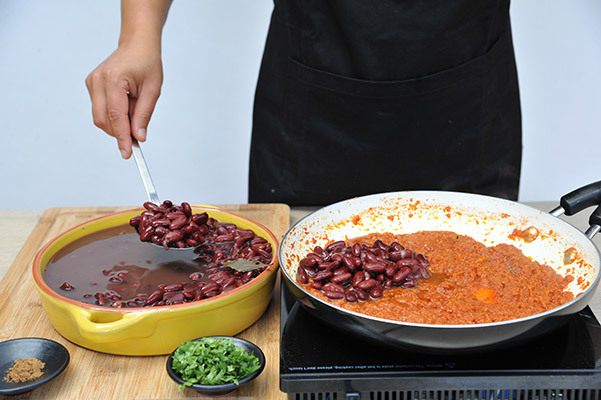 Hi what if use tinned kidney beans instead of soaking dried kidney beans?